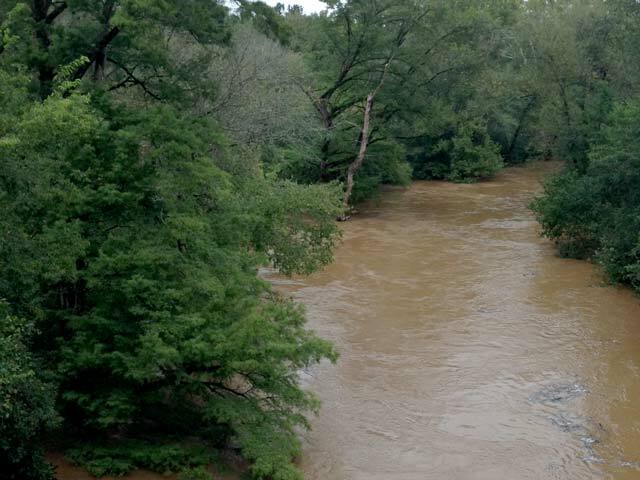 October 5, 2015 – One of Edgefield and McCormick Counties’ major creeks was overflowing its banks on Sunday as seen from the Modoc Hwy. (23) bridge. Currents were moving swiftly toward the Savannah River. It continued to move beyond its banks into back waters at the Woodlawn Rd. Bridge.